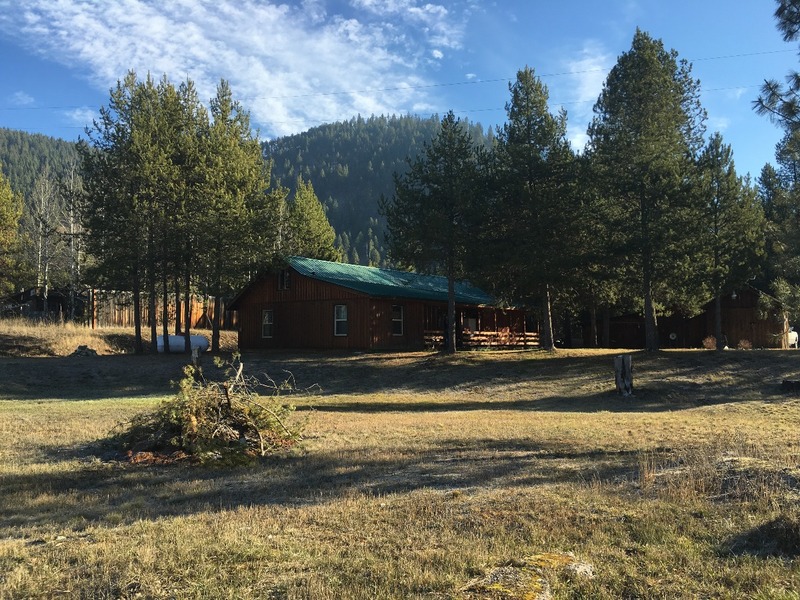 This 3 bedroom 1.5 bathroom home has gorgeous mountain views and is located in the quiet town of DeBorgia, Montana. The home has wood interior throughout the main level with an open living room, kitchen and formal dining room. The kitchen has beautiful wood cabinetry matching the interior. The formal dining room has vaulted ceilings, french doors, laminated flooring and a cozy Quadra-fire propane heater. The unfinished attic (487 sq. ft.) has two rooms for storage. The covered porch extends to a wheelchair accessible ramp towards the garage. The single detached garage/shop (812 sq. 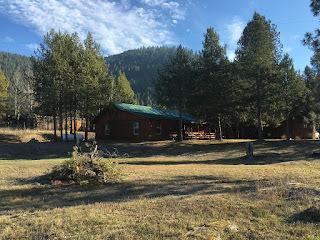 ft.) has a wood stove as a heat source to use as a workshop year round. The other shed (162 sq. ft.) could be used for garden supplies, tools, etc. The unfenced yard has mature evergreen trees and lots of space. All outbuildings and the home have matching siding (board & batten). 107 Yellowstone Trail DeBorgia, MT 59830. Call Bessie Spangler at Spangler Real Estate 406-822-4415 for more information. Priced at $150,000.